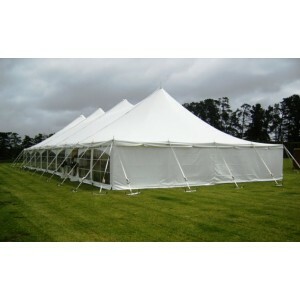 6m x 6m white peg and pole marquee for hire, must be erected on grass. 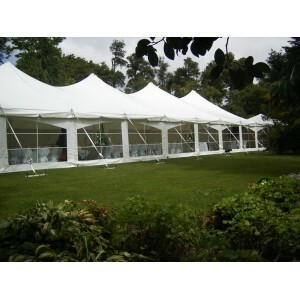 This marquee includes a full set of white walls however optional marquee features include silk roof; wall liners and bayview-clear walls. Price is for hire only, labour costs $229 to erect and dismantle this marquee plus a cartage fee of at least $100 within Christchurch (and any council permit fees). Please refer to "Information > Marquee Information" on the main menu bar above to view recommended capacities for this marquee and further information regarding Best Appearance Marquee Packages which are ideal for marquee weddings.